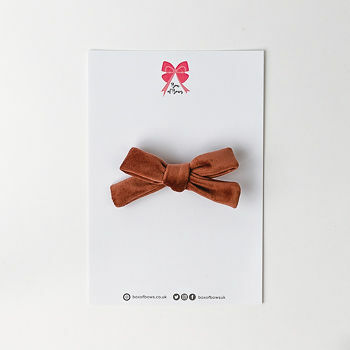 Our Lola hair bow is the dreamiest of pink and the softest of velvet. Free delivery. Bunches packs are shipped in a pink bag.